We have been managing Google AdWords campaigns for family law firms for more than 10 years. During that time, we have gained a unique insight into how to achieve great results with Google Ads. In this article we will share with you what we do and how we do it in case you want to try doing it yourself (you’ll find that further below after the results section). We will also show you several case studies so you can set a benchmark for a cost per lead you should expect. Other visitors to this site may be looking just to hire a company to do everything for them. If that’s the case you can call us at 800-645-9521 after taking a look below to see 1) we have tons of experience in family law and b) reading our case studies. Further down we will share a starter keyword list and several example text ads. Let’s start with the end result you can expect with AdWords. Our clients typically spend $50-$125 in advertising dollars to generate one call or contact form submission. When you are giving visitors a choice between calling or filling out a contact form you can expect three times as many calls as contact form submissions . This is because of the sensitive nature of family law. These are the results we achieved for a Florida family law attorney in our first month managing the account. Note the $17 cost per lead for child support cases. these are the cheapest leads achievable in our experience with family law marketing. Most attorneys don’t want these leads. Divorce leads are the most valuable of all because the case can involve both child custody and divorce. Child custody leads are almost as valuable as divorce leads and cost about 20% less per lead. We have additional references with detailed information available as well; contact us anytime to learn more. 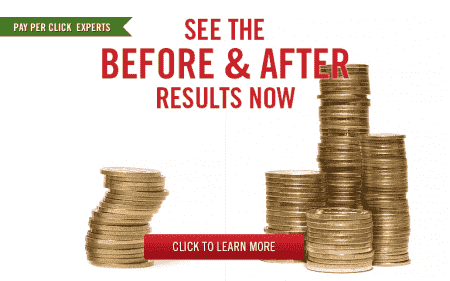 You may also be interested in seeing our bankruptcy attorney AdWords results page. Most clients do not like to target child support leads. The results below represent child custody and divorce advertising. For the best results, include all variations of child custody, divorce, and separation. Pair them with attorney, lawyer, and law firm. If you want to get local, add city and state names for the areas you target. In general, father’s rights keywords are less expensive, but do not typically generate great results. If you choose to pursue this market, create keyword iterations of father’s rights terms paired with attorney, lawyer, and law firm. Most of our clients avoid advertising with child support keywords. However, we have seen success with a client helping dads file child custody cases. This unorthodox strategy works because of child support laws in a particular state. One upshot is the benefit to society; many so-called a “deadbeat dads” are now actively participating in raising their kids. Once you build out your complete keyword list, add all of the available keyword match types: broad, modified broad, phrase, and exact to your Google AdWords campaign. Remember that broad match keywords can result in a higher cost per lead (and lower lead quality). Be sure to track calls and contact form submissions to make sure you are getting the impact you want. For over 10 years we have been refining our keyword list as well as how much to bid on each keyword based on the results we have seen for many clients. If all of this sounds like a lot of work it’s because it is a lot of work! if you contact us we can take care of everything for you. You need a negative keyword list to keep your ads from appearing where they are not helping you. A negative keyword list is a list of search terms you do not want your ad to appear with. For example, if you are showing ads for the broad and/or phrase match keyword Chicago divorce attorney, you will show up for pro bono Chicago divorce attorney, Chicago divorce attorney jobs, and cheapest Chicago divorce attorney. By adding pro bono, cheap, and cheapest as broad match campaign negatives, you can eliminate your ad from searches that will likely deplete your budget, not lead to a paying client. we have an extensive list of negative keywords for family law attorneys . Contact us and we may be able to provide this to you. Remember to check search terms to see if you are showing up for irrelevant searches because of broad match, phrase match, or modified broad match . After you’ve created the perfect Google AdWords pay per click campaign you need to measure your results, monitor which keywords drive calls and form completions, and continue to make changes to improve performance. Does this sound like a lot of work? If you would rather spend your valuable time working with your clients instead of struggling to make sense of the intricacies of Google AdWords, we can help. The family law keyword iterations listed herein should be able to get you about 90% of the worthwhile traffic you are targeting without driving yourself crazy creating a monstrous pay per click campaign, too unwieldy for the do-it-yourselfer. If you want to take your campaign to the next level and discover more family law keywords, here are some ideas to explore. The two themes that dominate the search queries for divorce attorneys are attorney location and attorney type. When searching for a divorce lawyer, many of your potential clients want an attorney in their area. Location related search terms also help qualify divorce leads, ensuring that your AdWords campaigns are driving leads in the areas you cover. Depending on the size of the area you practice in, you may want to target county and neighborhood divorce or custody keywords, as well as city and state. Depending on the size of the area you practice in, you may want to consider targeting county and neighborhood divorce or custody keywords, as well as city and state. As a divorce attorney, you likely specialize in specific aspects of divorce or family law, such as child custody or uncontested divorce. Using keywords related to the kind of law you practice will help drive the kind of leads you want. From a potential client’s perspective, searching for a specific specialty helps them to find an attorney who can meet their needs and is likely to win their case. Retargeting is where you show your ad on the google display network to visitors who have been to your site in the past. Google does not allow family law firms to retarget because of the sensitive nature of the topic. Imagine someone is searching for a divorce attorney but they have not told their spouse. now imagine that the spouse knows how Google AdWords works and puts two and two together and realizes their spouse has been visiting the websites of family law attorneys. you can quickly see why Google does not permit this . 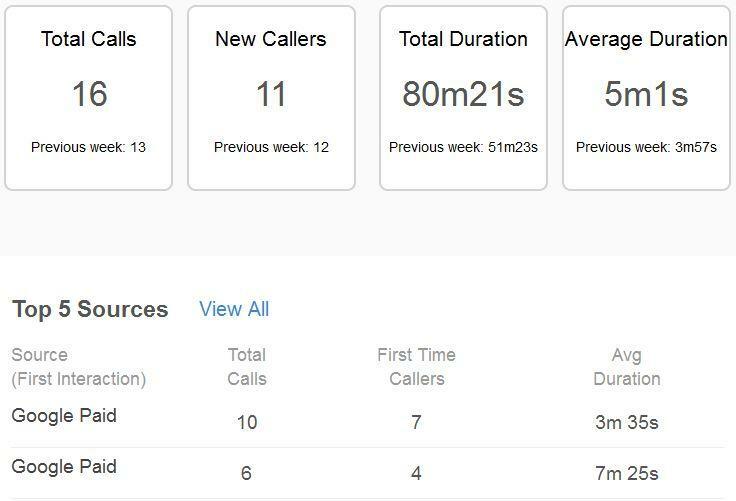 Look at the average call duration of five minutes. That’s a really good sign – obviously the higher the average call length the better the call quality. We prefer CallRail.com for call tracking. you can also record calls which is great to make sure your staff are doing a great job handling calls. And you can ring several numbers simultaneously in case a member of your staff is momentarily unavailable. You might also be interested in our AdWords bankruptcy results page (about $45-$55 per lead). Your Unique Ability to Solve Their Problem. 30 Years Experience in Divorce Law. Ready To Put The Past Behind You? We also recommend taking advantage of the many Ad Extensions Google AdWords offers. These will allow you to add supporting copy, such as firm reviews, links to client testimonials, and practice areas, to your ads. Just be careful that your call extensions do not begin to be shown less frequently. Sometimes an abundance of other extensions, and lots of ad text which takes advantage of all the lines of ad copy available, means that your call extension is less likely to show. This is very disadvantageous. You need a great looking website It must look professional and function well on computers and mobile devices. You should have a contact form Put a link to your contact on every page of the site. Once they complete the form, direct users to a unique thank you page where you can install the AdWords conversion tracking code. You can also set that URL as a goal with Google Analytics to track your marketing success across different marketing channels. You want to push calls Our typical client receives 3 leads as phone calls for every contact form submission. Be sure that your phone number is prominently displayed at the top and bottom of every page of your site. Include a “Call Now” link for smartphone users. Another helpful tip: with AdWords you may want to target only smart phones. We see the best cost per lead targeting just smart phones. Checkout drift.com for website chat. This is who we use. The free option or the $50 per month plan is good enough for most law firms. the $500 per month plan may make sense if you don’t have someone available for a good portion of the day . With that plan you are attempting to automate everything and drive appointments using chat bots. If you have a high volume of traffic on your site then this may makes sense if you have the time to dedicate to setting it up. You should never allow calls go to voicemail. If you want to succeed, a competent employee (or you) should answer all calls. You should limit your AdWords ads to run only during business hours, when someone is available to answer calls. Keywords are just the start of succeeding with online marketing. You also need the right ad content, a great website, and competent employees to deliver a good customer experience. If you are ready to see how we can save you the trouble of coming up with a comprehensive family law keyword list, designing great ads, carefully tailoring your campaign settings, building your negative keyword lists, and managing your day-to-day PPC campaign, please contact us through the form below or call us at 800-645-9521.